Tenderheart will be available on CD, Vinyl, Digital, download & streaming. On ‘Tenderheart,’ Outlaw offers an extraordinary refinement of the artistic identity laid out on ‘Angeleno’. 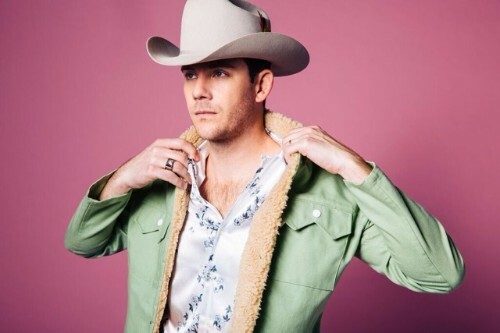 Sonically, the album elaborates on his “SoCal Country” sound: a sun-bleached, Baja-influenced twang that deftly points to country’s neo-traditionalists and LA’s legendary singer-songwriters. Thematically, ‘Tenderheart’ is a thesis on self-discovery and the power of love – from the cinematic mariachi-laced climax on opener “Everyone’s Looking For Home,” to the determined swagger on side-A highlight “Trouble,” to torch song showstopper “Diamond Ring” – Outlaw meditates on his own conflicted quest for peace amidst the chaos of his chosen path. The 13-track collection of originals was recorded in the San Fernando Valley and co-produced by Outlaw alongside Martin Pradler. Outlaw enlisted many of the same musicians that made his first album, 2015’s ‘Angeleno,’ an undisputed breakthrough and one of the best-reviewed debuts of that year: harmony singer Molly Jenson, pedal steel pro Jeremy Long and guitarist Danny Garcia, along with Taylor Goldsmith (Dawes) and Bo Koster (My Morning Jacket). In addition, ‘Tenderheart’ features local mariachi group Erwin Vasquez and Mariachi Teocuitatlan. Outlaw will tour extensively behind ‘Tenderheart,’ more info coming shortly.